If you’re not vegetarian or vegan and an American, I’m willing to bet your nodding your head YES, right?! Well, this posts for you then! 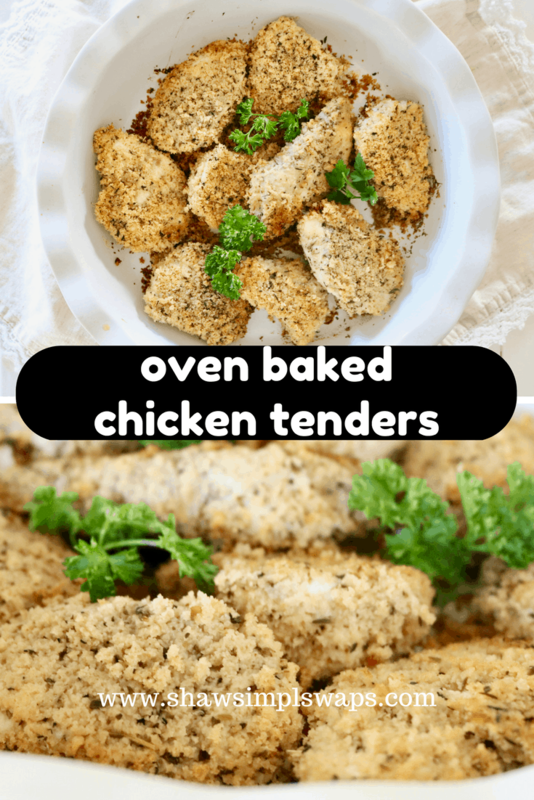 To thank John (aka pops) for his great business tips from this weeks Ask the RDNs Accountant post, I decided to whip up his favorite, Oven Baked Chicken Tenders! Truth be told, my dad is one of the few people who I know LOVES KFC. Literally, when we moved into our house here in San Diego, he was the first one to tell me where I could find a KFC lol! Now, I can honestly say I can’t remember the last time I ate at KFC, but, I tested these on Mr. CEO who had KFC about a month ago and he gave them two thumbs way up on a side by side comparison scale with KFC. So, I know I can’t make the decision for you, but, I promise, you won’t regret making these! 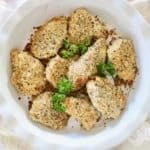 Oven Baked Chicken Tenders are the new best thing to take over your kitchen! These freeze like a champ so you can pull them out for a quick meal mid week too! Melt Smart Balance, set aside. In a separate bowl, combine panko, ground flaxseed and seasonings. 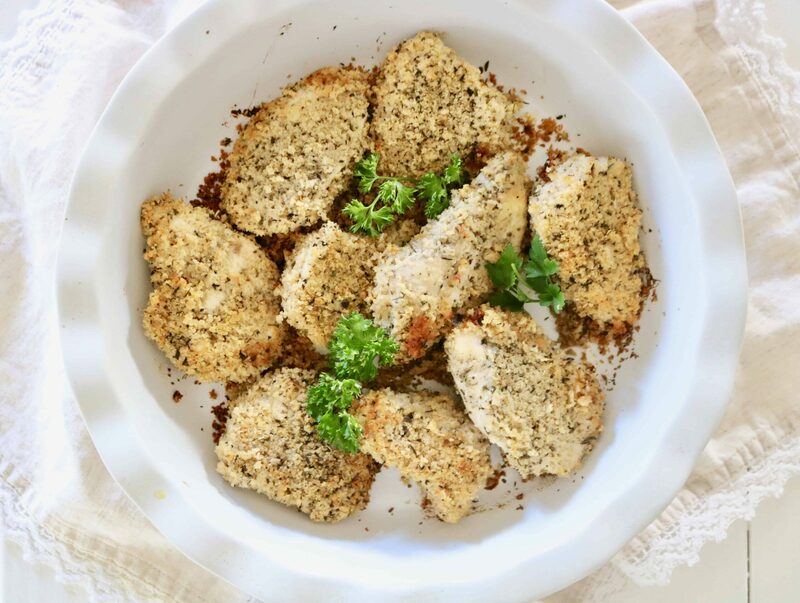 Gently coat each chicken tender in the melted butter, then dip in the panko breading, then set aside on a greased baking sheet or pan. In a large skillet over medium heat, add 1 tablespoon oil and lightly crisp the outer coating of the chicken, flipping after 20 seconds. Place back on greased baking sheet and repeat until all chicken has been coated. You will need to add the remaining 1 tablespoon of oil to the skillet to complete. 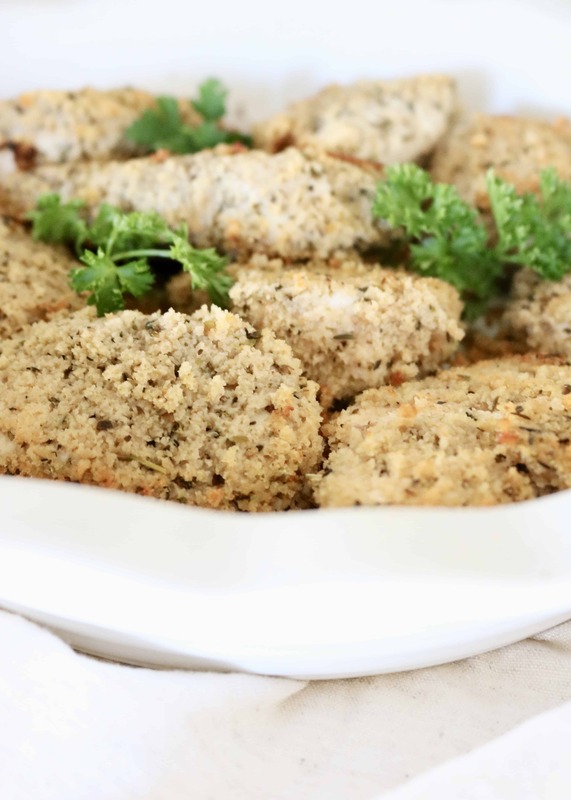 Placed chicken in the oven and bake for 35 to 45 minutes, or until internal temperature reaches 165*F.
Remove and serve immediately or let cool and refrigerate for 5 days or freeze for up to 2 months. I am a fan of the Smart Balance line of products (no I'm not sponsored by them), but, feel free to use butter of choice for this recipe. I have tried oil and it did not stick as well. And viola, dinner is served that won’t break the bank and is healthy, nutritious and delicious! Tell me, what’s your favorite side to pair with Oven Baked Chicken Tenders?